In our opinion, the document drafted by Julia Ott and Will Milberg for the new Robert L. Heilbroner Center for Capitalism Studies should be the beginning of a debate among NSSR faculty about the Center’s mission rather than a final manifesto. 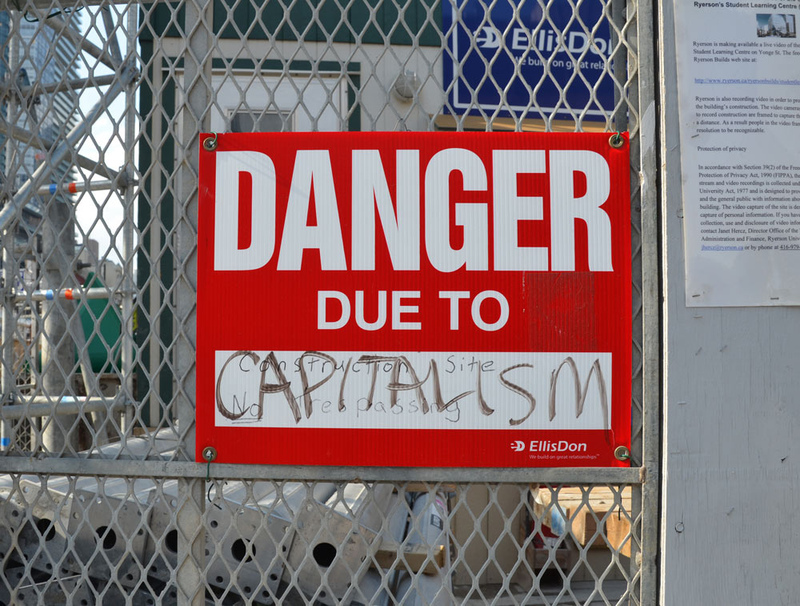 There are many claims in the document with which we wholeheartedly agree: the pressing necessity to return to discussing and analyzing large structures, long processes, and big questions; the idea that capitalism must be a central object of study and concern; the interpretation of capitalism as a social process; the identification of various power relations as critical determinants of economic outcomes; and the acknowledgment that economic theories operate as political ideologies. Further, we agree with Ott and Milberg that capitalism “should not be assumed.” However, we think that it should not be only “explained,” as the present document suggests, but also, by the same token, criticized. Critique, indeed, is a constitutive part of the explanation of social phenomena and processes, and explaining capitalism without criticizing it does amount to assuming it. The Robert L. Heilbroner Center for Capitalism Studies aims to develop theoretical and analytic tools that can help us to envision and to instantiate different and better capitalisms — local and global — for the future. A more generous, egalitarian, patient, deliberate, and accountable form of capitalism must begin with incisive and interdisciplinary social inquiry, without which policy change cannot be successful. While we do not object in principle to reforms that could improve the living conditions of millions, we cannot but wonder whether envisioning a more human and generous capitalism as the only logical alternative to the current situation should be assumed as the Center’s mission. On the contrary, we think that a wider range of critical stances should be incorporated into the Center’s mission-statement, allowing room, among other things, to stances that positively reject the capitalist assumption. Moreover, the New School for Social Research should not, in our opinion, run the risk of turning the Center into another think tank for policy building within the capitalist horizon. 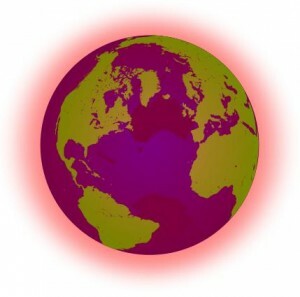 In spite of the vast array of literature on alternative economic models, the research questions enumerated in the document do not invite comprehensive study of the systemic alternatives to capitalism. None of the questions listed addresses the closely related ecological crisis or the pressing contradiction between capitalist accumulation and the planet’s ecological preservation. None of the questions listed mentions the connection between capitalism and war, colonial and neo-colonial expansion, or the ongoing expropriation of people from their land and from the commons. In other words, we don’t think that the document’s abstract recognition that capitalism is “violent” does enough to take a critical stance towards its dangers. Finally, none of the questions on the list mentions racialization, forced migration, and gender inequality. We believe that explaining the relations between capitalism and such forms of expropriation, displacement, ecological destruction, war, and inequality is necessary. Are these relations constitutive of capitalism or merely contingent? In other words, is there such a thing as what the document describes as “humane” capitalism, or is “generous, egalitarian” capitalism a contradiction in terms? We believe that the task of the New School’s Center for Capitalism Studies should be explicitly addressing these as open questions. As already said, the critique of capitalism should be constitutive to its explanation, starting from the presupposition that capitalism is not only a social process, but also a social relation. In other words, capitalism is not a machine: it is the product of our own activity and practices, organized through specific social relations. To be sure, we are confident that such views as expressed above will be welcome as part of the repertoire of the Heilbroner Center. This is only continuous with the democratic and critical culture that has characterized the New School from its very beginnings. But this is not enough. 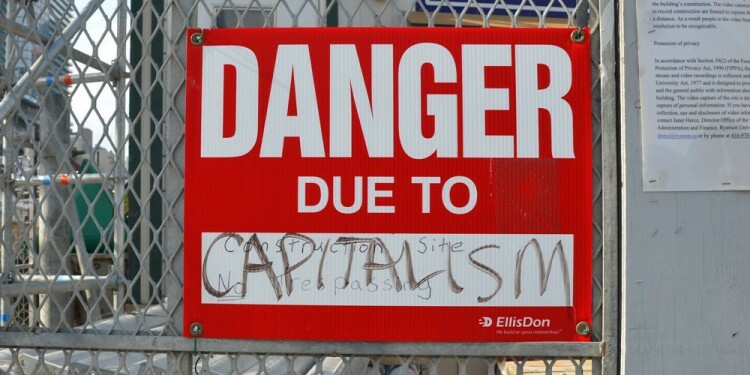 If the Center for Capitalism Studies aspires to promote a pluralistic path of inquiry, to explain and criticize capitalism without assuming it, radical critiques of capitalism should be included as part of the Center’s mission — not just tolerated as an exception to it. We hope that a debate on different explanation methods and critiques will open up, and that a final manifesto will answer to these concerns.